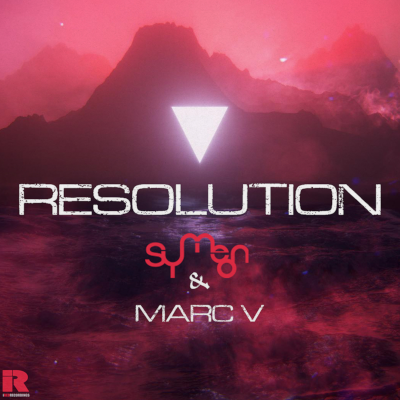 The songwriters and producers of future-house music known as Symeon and Marc V have released their latest official single, “Resolution.” In addition to the considerable talents of Symeon and Marc V, “Resolution” also features a performance by Al Pimentel. The single has been proudly published as an independent release without the involvement of the corporate music industry on the iRED Recordings record label. 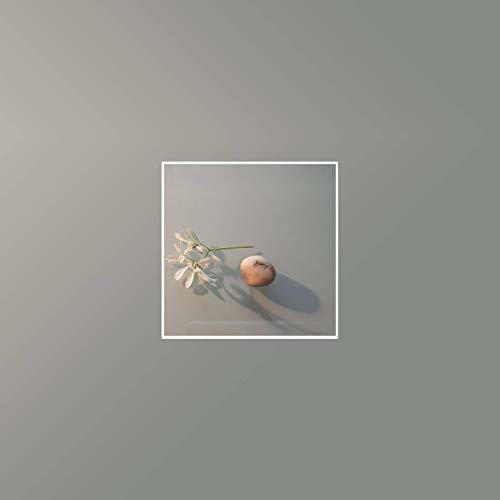 Driving, verve-charged, and stylish as all hell, “Resolution” showcases Symeon and Marc V as one of the most intriguing electronica duos of the year so far and promises that they have plenty more where that came from. Los Angeles’ Symeon and Marc V cites as main artistic influences Nora En Pure, Sons of Maria, and EDX. Symeon and Marc V’s own sound takes elements from each of these and adds something fresh and unique for a result unlike anything today’s music fans have heard before. With an emphasis on beats, hooks, and addictive melody lines, “Resolution” by Symeon and Marc V has a little something for everybody. Symeon and Marc V’s collaboration began in the aughts when they ran a trio of nightclubs called RED. The popular venue had locations in Los Angeles, San Francisco and Las Vegas. “Crazy Good Times!” they have said of their work as DJs. Having come together in the Y2K-era underground rave scene, their material spans the variety between trance music, electro house, and Miami breaks. “Resolution” by Symeon and Marc V on the iRED Recordings label is available from over 600 quality digital music stores online worldwide now. Get in early, electronica fans. 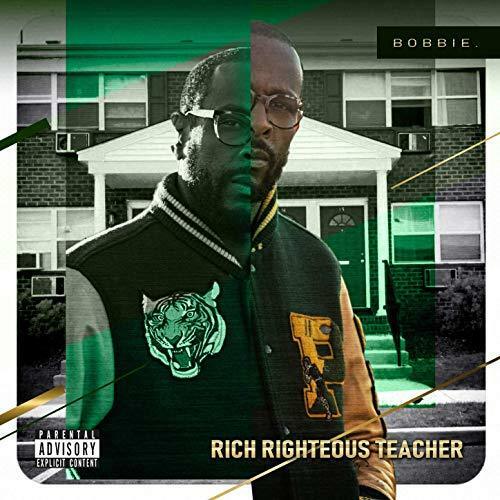 The songwriter and producer of hip hop known as Bobbie has released his latest official album, “Rich Righteous Teacher.” The album contains 10 original Bobbie tracks for an approximate total listening time of 35 minutes. It has been proudly published as an independent release without the involvement of the corporate music industry. Clever, aggressive, and with a metric ton of things to say about society at large, “Rich Righteous Teacher” showcases Bobbie as one of the most intriguing hip-hop artists of the year so far and promises that he has plenty more where that came from. In addition to the considerable skills of Bobbie (often stylized ‘Bobbie.’) “Rich Righteous Teacher” also features the talents of a grip of prominent performers, including: YZ, Wise Intelligent, KP, Al-One, and up-and-coming Jersey spitter Big Ooh. Beats on the record come from such creative minds as Dope Boyz Muzic, DG Beats, and Epik the Dawn. Having been quietly released on his personal SoundCloud page, the “Rich Righteous Teacher” title track amassed thousands of listens in less than its first month. The track features the front man of Poor Righteous Teachers, Wise Intelligent, as well as another incredible veteran Jersey emcee, YZ. Houston’s Bobbie (who originally hails from New Jersey) cites as main artistic influences Nas, Rakim, Big Daddy Kane, KRS-One, YZ, Poor Righteous Teachers, Ultramagnetic, and A Tribe Called Quest. Bobbie’s own sound takes elements from each of these and adds something fresh and unique for a result unlike anything today’s music fans have heard before. With an emphasis on poetry, style, and rock-solid minimalistic beats, “Rich Righteous Teacher” by Bobbie has a little something for every true fan of the sound. Bobbie has been rapping since the late ’80s when he was known in the New Jersey scene as B-Fine/BeFyne. His crew, the Funk Family, signed to Interscope under the Poetic Groove label in 1992 and dropped a classic single, “Anyway,” produced by the Baka Boyz. Two years later, he signed to Rick Rubin’s American Recordings with the Blaque Spurm collective and recorded “Dayz & Dayz” and “Nonoxynol Rhyme’n” produced by the late Tony D.
Later years saw Bobbie leaving American for Ruff House Records under which umbrella he produced several East Coast emcees besides working with his late brother, Borne “#9” Humbert, in a project called Sworn Secrecy. He later produced music for a variety of media giants including Fox Sports, TNT, and the Cartoon Network. His debut solo LP appeared in the early 2000s. By 2010 he had recorded an album with legendary Portland rapper KP as the duo, Good Biz. After a hiatus, Bobbie has returned with “Rich Righteous Teacher,” the title of which is an homage to one of his favorite rap groups, Poor Righteous Teachers. “Rich Righteous Teacher” by Bobbie is available from over 600 quality digital music stores online worldwide now. Get in early, hip hop fans. 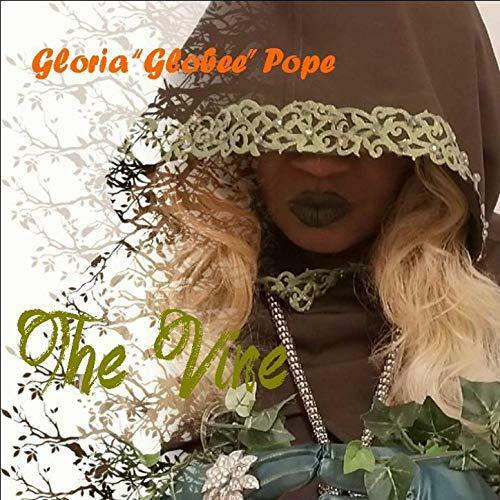 The songwriter and producer of gospel and contemporary Christian music known as Gloria “Globee” Pope has released her latest official EP album, “The Vine.” It has been proudly published as an independent release without the involvement of the corporate music industry on the Bee-Lovit Records, LLC record label. Soulful, elegant, and bursting with the holy spirit, “The Vine” showcases Globee as one of the most intriguing Christian artists of the year so far and promises that she has plenty more where that came from. Atlanta, Georgia’s Gloria “Globee” Pope cites as main artistic influences Aretha Franklin, Anita Baker, Gladys Knight, and Joyce Kennedy. Globee’s own sound takes elements from each of these and adds something fresh and unique for a result unlike anything today’s music fans have heard before. With an emphasis on groove, evocative singing and a foundation on the words of Jesus Christ, “The Vine” by Globee has a little something for everybody. Globee has appeared in films such as “The Gospel,” “Baby Boy Don’t Get Yo’ Haircut at the Last Dragon Dis Friday,” and “Stomp The Yard.” She has also hosted her own televised show, “Gospel Vibes” in the Atlanta area. She has hosted Internet radio broadcasts: Glorious Gospel Vibes on Blog Talk Radio for six years, winner of the 2017 Spin Awards, as well as the Globee Pope Gospel Show on V1075 for two years and on WMQG fm for three years. Kingdom Praise 102.9 will be her next up-and-coming broadcasting home as she also prepares for her new TV broadcast. Pope is also the author of Covenant of the Heart – You’re A Part Of Me, available in bookstores soon. In addition to her own acclaimed talents, Globee Pope has the help of her son, Torrey “TBEATS” Brown, who produces her music, as well as that of her sound-engineer husband. “The Vine” by Globee on the Bee-Lovit Records, LLC label is available from over 600 quality digital music stores online worldwide now. Get in early, gospel and contemporary Christian music fans. Tagged 2 dove production studios, bee-lovit, globee, gloria globee pope, the vine, World Changers Church Intl. 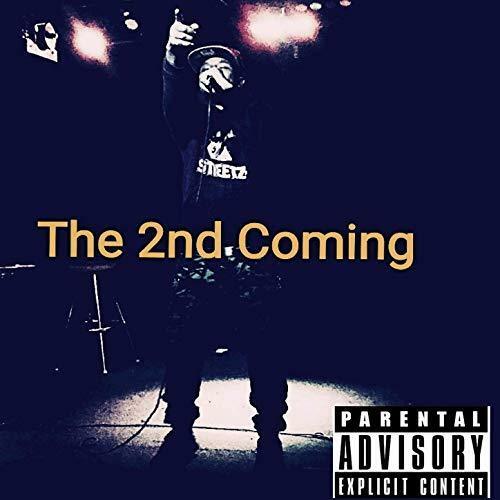 The songwriter and producer of hip hop known as Luhtech has released his latest official album, “The Second Coming.” The album contains eight original Luhtech tracks for an approximate total listening time of 25 minutes. It has been proudly published as an independent release without the involvement of the corporate music industry. Proud, aggressive, and boasting more raw talent than has been heard in a single record from the American South so far this year, “The Second Coming” showcases Luhtech as one of the most intriguing hip-hop artists of spring 2019 so far and promises that he has plenty more where that came from. Wichita KS’s Luhtech cites as main artistic influences Meek Mills, J. Cole, Kendrick Lamar, Tupac Shakur, and Lil Dirk. Luhtech’s own sound takes elements from each of these and adds something fresh and unique for a result unlike anything today’s music fans have heard before. With an emphasis on strong back beats, clear vocal lines and rhymes and plenty of “The Second Coming” by Luhtech has a little something for everybody. In addition to the skills of Luhtech, himself, “The Second Coming” also features performances by Louie Midas and Shevy. Born Antonio Pratt, Jr. in St. Louis, MO, Luhtech’s background in hip hop is inextricably linked to his rough upbringing. Today, he is the father of a 3-year-old son and continues to make his own inimitable brand of hip hop. “The Second Coming” by Luhtech is available from over 600 quality digital music stores online worldwide now. Get in early, hip hop fans. The songwriter and producer of electronica known as Brog has released his latest official album, “Wonder.” The album contains 11 original Brog tracks for an approximate total listening time of fully 90 minutes. It has been proudly published as an independent release without the involvement of the corporate music industry on the llornkcor record label. A kaleidoscopic, appropriately named variety of soundscapes, “Wonder” showcases Brog as one of the most intriguing electronica artists of spring 2019 and promises that he has plenty more where that came from. Brisbane, Australia’s Brog (BR-ain f-OG)cites as main artistic influences a range of mostly non-digital artists including Pink Floyd, Tangerine Dream, and Jimi Hendrix. Brog’s own sound takes creative and progressive music elements from each of these and adds his own uniquely post-modern trappings for a result unlike anything today’s music fans have heard before. With an emphasis on , “Wonder” by Brog has a little something for everybody. Born Lorn Potter in the Boulder, CO area, Brog’s eclectic original tracks blend elements of folk rock, jazz and “new-age, electronic space music, with lyrics that are environmentally aware and full of passions from his heart.” The loose, devil-may-care attitude with which he crafts his songs also hints at the strong undercurrent of his punk-rock past in Dead Silence, with which crew he opened for legends such as TSOL and 7 Seconds. Since that time, Brog has played in many disparate and popular music projects, such as iO, Acoustic Forum, Tribal Folk with Jamie Janover (Zestfinger), Kicking Mr. Rogers with Scott Kusmirek (Gin Blossoms), Dude of Life (songwriter, Phish), and Intergalactic Spacefish with Dirck Nagy (music prof., WSU), and the renowned drummer, Thumper, as well as his high school band, Alibi, with Minneapolis’ Rich Mattson and My Blue Sky’s Jamie McGregor. He has produced several music videos and also worked as a sound engineer at such major events as the Worldbeat Music and Dance Fest in Longmont, CO, for such artists as Yaocan Chen, Colcannon, the New Land Balkan Band, Serfe’, and the Planina Balkan Choir. Since 2003, Brog lives in Brisbane, Australia creating psybient, ambient and electronic music. “Wonder” by Brog on the llornkcor label is available from over 600 quality digital music stores online worldwide now. Get in early, electronica fans. The composer and producer of modern jazz piano known as Tihomir has released his official debut album, “Solo.” The album contains seven original Tihomir compositions for an approximate total listening time of 50 minutes. It has been proudly published as an independent release without the involvement of the corporate music industry on the Tikark record label. 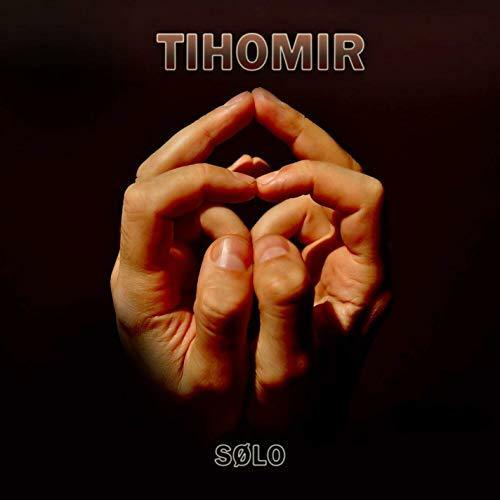 Playful, skillful, and entirely unique in its feel, “Solo” showcases Tihomir as one of the most intriguing jazz players of the year so far and promises that he has plenty more where that came from. Serbia’s Tihomir Stojiljkovic cites as main artistic influences Keith Jarrett, Thelonius Monk, Chick Corea, Paco de Lucia, and “many others.” Tihomir’s own sound takes elements from each of these and adds something fresh and unique for a result unlike anything today’s music fans have heard before. Longtime jazz fiends will rejoice in Tihomir’s uncanny knack for surprising the listener with a new direction, braiding chord progressions into tangential paths which seem both intuitive and unexpected at the same time. With an emphasis on tonal character, geographical nuance and a seemingly incidental accessibility to listeners of every musical walk, “Solo” by Tihomir has a little something for everybody. Tihomir has been playing music since the age of six, having begun in the traditional music of his country on accordion. By sixteen he had made himself proficient at improvising on the keyboard in a variety of music genres. Before the age of 25, his own personal style of Balkan jazz had already begun to develop. An autodidact, Tihomir trained himself to play by assembling what he took from his favorite players into new patterns and soundscapes all his own. “Solo” by Tihomir on the Tikark label is available from over 600 quality digital music stores online worldwide now. Get in early, modern jazz piano fans. Very early. 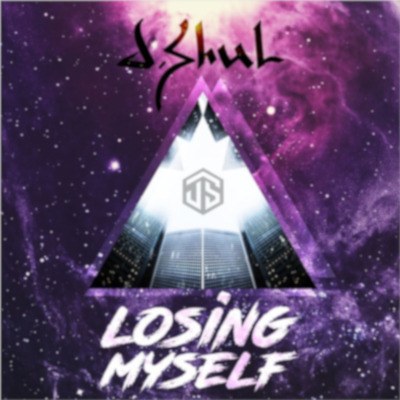 The songwriter and producer of house music known as J.Shul has released his latest official single, “Losing Myself.” The single has been proudly published as an independent release without the involvement of the corporate music industry on the Mass Melody Records record label. Innovative, uniquely narrative and generating an almost visual soundscape in which listeners may explore, “Losing Myself” showcases J.Shul as one of the most intriguing house music artists of the year so far and promises that he has plenty more where that came from. Portland, OR’s J.Shul cites as main artistic influences Avicii, Tiesto, Armin Van Buuren, Ferry Corsten, Benni Benassi, David Guetta, Don Diablo, Martin Garrix, Calvin Harris, Daft Punk, Deadmau5, and Skrillex. This roster points to the artist’s impeccable taste as well as to his own creative direction. J.Shul’s sound takes elements from each of these and adds something fresh and unique for a result unlike anything today’s music fans have heard before. With an emphasis on slow burns, mounting intensity and satisfying, uncontrived drops, “Losing Myself” by J.Shul has a little something for everybody. In addition to his continuing work in music production and business, J.Shul has been developing an original festival/club-style clothing line inspired by artists like Avicii, Steve Aoki, Tiësto, Don Diablo and others. “Losing Myself” by J.Shul on the Mass Melody Records label is available 14 April 2019 from over 600 quality digital music stores online worldwide now. Get in early, house music fans.